Planning what fish and inverts are going to go in an aquarium is always daunting: how many fish, what species for your aquarium size, what fish will play nice with one another. So many questions that have to be addressed to ensure success of your tank. 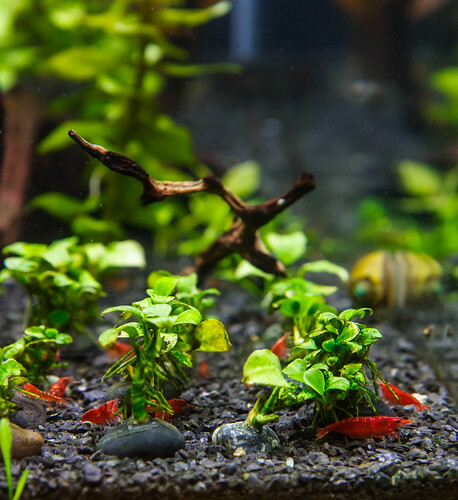 The Fluval Spec line of aquariums leads to some additional complications and considerations when choosing fish and inverts. I’ll discuss some of these challenges and give some broad suggestions on what fish and inverts will work for your Spec III and Spec V aquariums. People often think that the very large aquariums of 55, 75, or 100 gallons are the complex variety in the hobby. In ways, they are – the larger tanks and associated equipment does cost more initially. 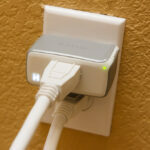 Maintenance can be more difficult because of the size and large volume of water involved. 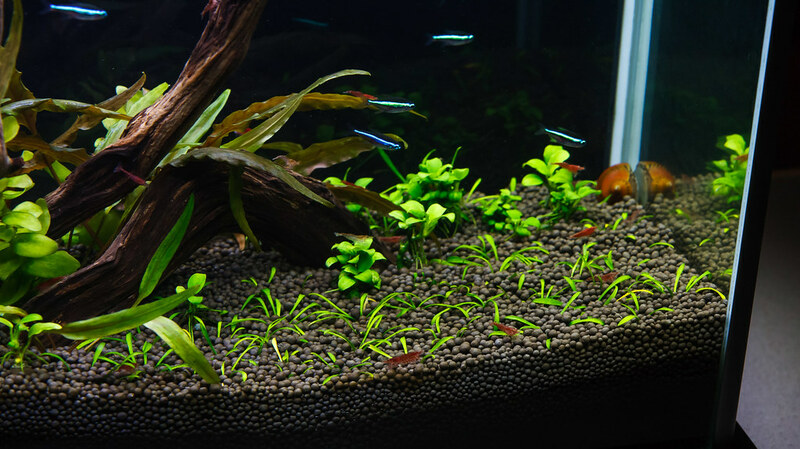 However, in one critical aspect the larger aquariums are easier to care for: the larger volume of water makes them more stable and offers more options for stocking. By more stable, I mean that changes to the water tend to happen slowly because the volume dilutes any changes. Put a few drops of contaminates in a large aquarium and it may be so diluted to allow the occupants to survive. 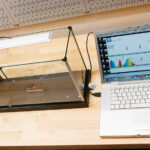 The same drops of contaminates in a Nano aquarium – no such luck. The drops constitute a much larger percentage of the total volume and the concentration is much higher. 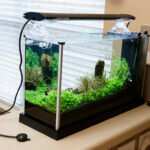 Both the three gallon Spec III and the 5 gallon Spec V aquariums are considered nano aquariums. Even though they are small, simple, and inexpensive, they still have challenges. Breeds of fish that are sensitive to water quality will demand that the regular maintenance be completed religiously; neglect will cause the water parameters to drift quickly as the small water volume offers little margin for error. Nano aquariums are challenging because the small water volume can’t support a high bioload, meaning the numbers of fish and inverts will be limited. Beyond that, every fish has basic needs for the minimum space for swimming and living to remain healthy. This will limit the number of fish you can add to a nano aquarium, such as the Fluval Spec the Spec. There is a rule of thumb that says you can stock an aquarium with 1″ of fish per gallon of water. This is a very loose approximation and many people disagree with it, saying it can be conservative or liberal depending on the specifics. However, it does give you an idea of how limited we are with the Spec aquariums. 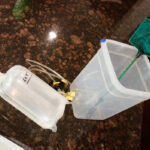 The five gallon V would be limited to a total of 5″ of fish; the 3 gallon III limited to a total of 3″ of fish. The smaller Spec III has a further complication with its layout. Fish typically live and swim horizontally. The Spec III is arranged as a cube with very little horizontal space to allow swimming. Even if you select a breed and quantity of fish suitable for the volume, active varieties might not thrive because the space is too cramped. Don’t despair; if you are willing to work within the limitations and embrace the challenges, there are many fish and invert options available to stock a Spec aquarium. Certain breeds of fish do well as ‘loner’ fish in nano aquariums. We often transfer our emotions onto animals and think a single fish in a tank will be lonely, but this is not the case for some breeds. Betta Fish (Betta Splendens): This fish is also referred to as Siamese Fighting Fish. The name is accurately descriptive; they were bred to be fighting fish and for this reason, they thrive alone. The water volume of the Spec V is ideal to house a single Betta. The smaller Spec III is not ideal, but will work with care. Spec Aquariums may require a few modifications to house the long finned Betta. Scarlet badis (Dario dario): Multiple males of this species is a no-no for a nano tank as they become very territorial. However, they do fine with a single male by himself, or a single male with one or two females. The size is right; males usually stay at 20mm (0.78 inches) or less. 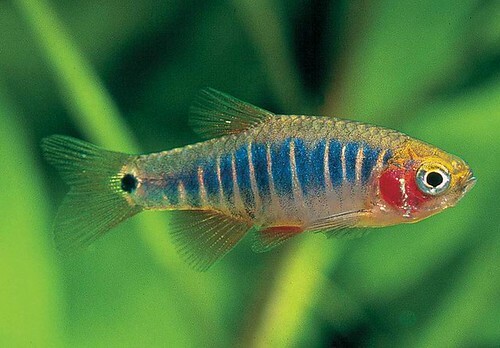 I don’t have direct experience but understand Scarlet Badis’ are sometimes finicky eaters. Dwarf Puffer (also known as the Pea, Pygmy, Indian Dwarf, and Malabar Puffer): This little fish is perfectly happy alone, but needs at least the five gallons of the Spec V. Don’t plan on any shrimp surviving with this fish. Some of the smallest varieties of fish for freshwater aquariums are often schooling fish, those that need to live in groups to survive and thrive. This makes for a bit of a conflict as some are the perfect size (no larger than 25mm (1″)) but the effect of being provided in quantities large enough to maintain security makes one pause and consider. The key to having a schooling variety thrive in a Spec V is getting a specific range of fish quantity; high enough to feel comfortable, but low enough to not cramp and cause water quality issues. I feel this number is in the range of 6 to 8 fish. For the very small varieties (maximum length of 19mm or 0.75″), 8 to 10 fish may work. The Spec V’s layout, being long, allows the school room to swim. The smaller Spec III, because of the compressed footprint, does not allow this as well. Additionally, three gallons is probably not enough volume to support 6 to 8 of any fish. It is for this reason that I would personally discourage schooling varieties from being housed in the Spec III. Green Neon Tetra (Paracheirodon simulans): This is at the top of the list as a group of 7 are currently occupying our Spec V. They have been there for 11 months now and are perfectly healthy in this environment. They are similar to the common Neon Tetra (Paracheirodon innesi) and the Cardinal Tetra (Paracheirodon axelrodi), but the Green Neon Tetra is a bit smaller than those two (topping out at around 25mm (1″) max) and are thus better suited for a nano aquarium. They can be differentiated by the blue stripe that extends end to end. The Green Neon is more rare than standard Neons or Cardinal Neons so it may take a more reputable fish store to obtain them. Some people have the opinion that all neon tetra varieties are too active to be happy in a 5 gallon nano, so proceed with caution. Ember Tetra (Hyphessobrycon amandae): This was a close runner up. The size is right at around 25mm / 1″ max. They are a very beautiful golden color. 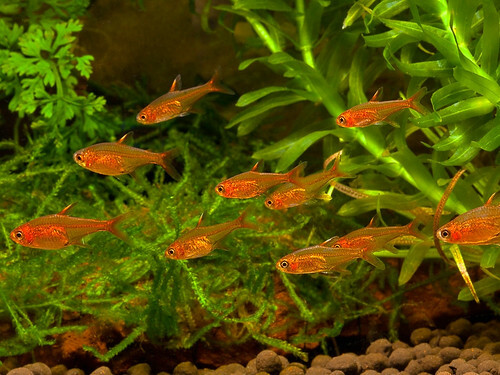 Chilli Rasbora (Boraras brigittae): Also known as the Mosquito Rasbora. This is an excellent fish from a size standpoint. They max out at around 18mm (0.7 in). 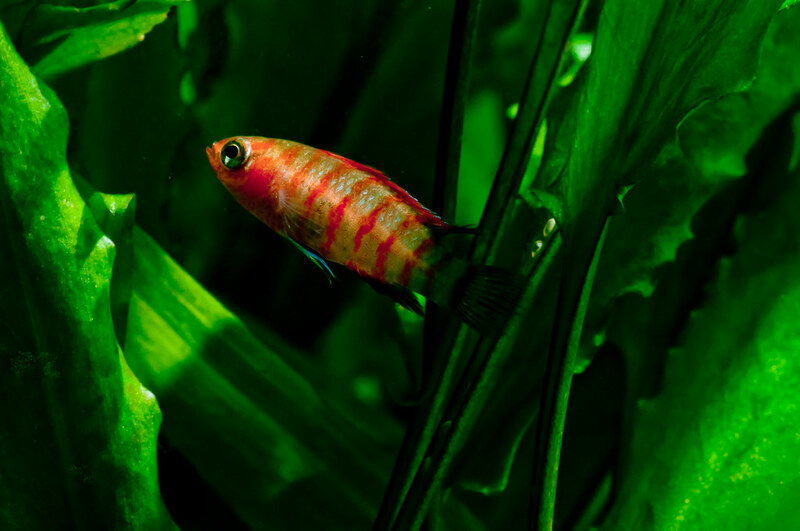 Their small size would allow up to 10 in a Spec V. They have a beautiful red coloration. They are not impressive alone, but together in a group they become quite a spectacle. 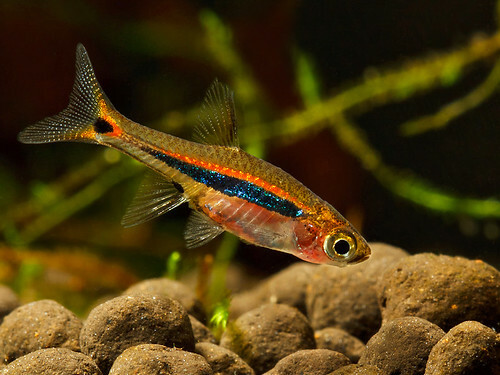 Dwarf Rasbora (Boraras maculatus): Also known as the Spotted Rasbora. Small, with a maximum length of around 25mm (1″). Somewhat thin fish; not flashy. Should survive well in a group of around 6 to 10. I have mentioned 2 of the 6 in the Boraras family. 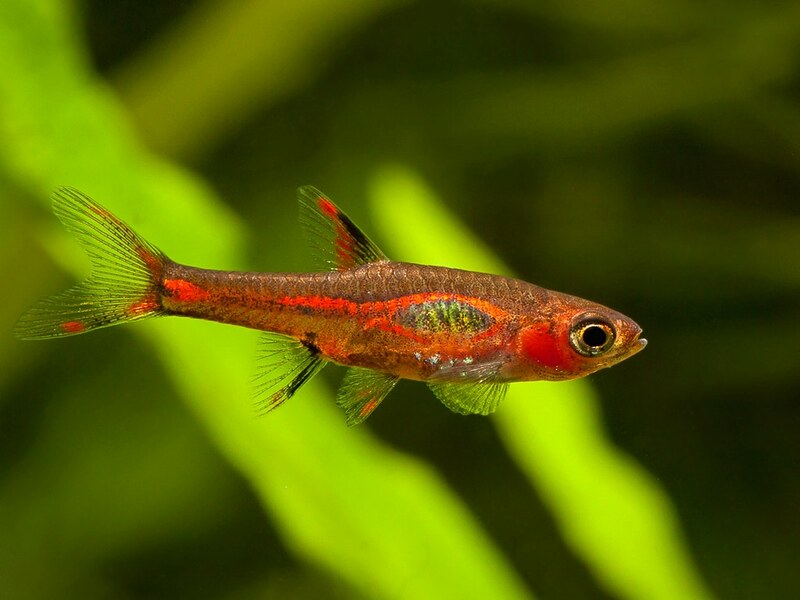 All will be suitable in size to investigate for a Spec V.
Emerald Dwarf Rasbora (Microrasbora erythromicron): This is a beautiful fish. It is pale with red/orange vertical stripes and a spot near the tail. They have a maximum size of around 20mm (0.78″). While not technically a schooling fish, they are happiest in groups. I would suggest 6 for a Spec V. They are known as a shy fish and can be temperamental as far a water quality, so proceed with caution. 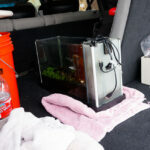 At this point, you may be distraught over the limits in fish selection for nano aquariums. Have heart, there are options other than fish that can add greatly to your entertainment and enjoyment. You should even consider having an invert only Spec, especially if you are looking at the smaller Spec III. Don’t discount how much fun shrimp and snails can be to raise and observe. Honestly, I spend more time studying and enjoying the Red Cherry Shrimp in our tank than I do the fish. The added benefit of these critters is that they do help to clean some of the algae off surfaces. At the same time, however, they are pooping quite a bit, so I think the end effect is a wash.
Red Cherry Shrimp (Neocaridina heteropoda): RCS are the most common showcase shrimp for freshwater aquariums. They are small enough to be housed comfortably in a Spec V. Be warned that if you provided anything close to adequate water conditions, they will breed. You can start with as few as you want. I started with about 6 and now have, umm, many more than that. Crystal Red Shrimp (Caridina cantonensis sp. 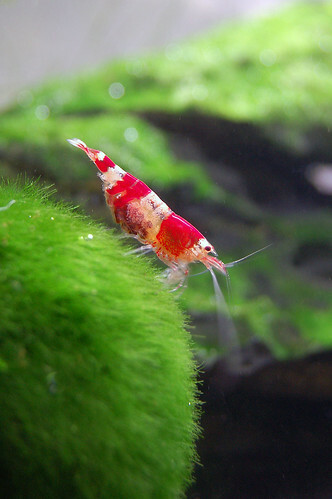 “Red”): CRS are more exotic in appearance than Red Cherry Shrimp. They are white with red accent coloration. They tend to be more difficult to keep and breed compared to RCS. They do not interbreed with RCS so the two can be kept in the same tank. Amano Shrimp (Caridina multidentata): This is a larger variety of shrimp, reaching up to 50mm (2″) in length. They do not breed in freshwater. A Spec can probably handle a few of these; just make sure to supplement with proper food. Nerite Snails (Neritina natalensis): The nerite snail is a very entertaining addition to the nano aquarium. They can achieve a size of around 25mm (1″) in diameter. They come in varieties based on shell color or pattern: olive, tiger, zebra. This snail will not breed in freshwater, so you don’t have to worry about them multiplying like pond snails. They can, however, lay small white eggs that don’t hatch. Some people consider these eggs to be a nuisance. I would not put more than one nerite snail into a Spec aquarium. Horned Nerite Snail (Clithon corona): This variety is an even better fit for a nano aquarium because it is smaller than a regular nerite snail. They get their name from small spike shapes on their shells. The horned nerite snail will grow to around 10mm (0.4″). Like the regular Nerite, it will only breed in brackish water. They can be somewhat hard to find in shops, but it is worth it to search as the size is perfect for a Spec. I’ve given some suggestions for fish and inverts, but you need to fully investigate the needs of any critter you decide to put in your tank. Take into account their feeding requirements and preferred water conditions (including ph, temperature, hardness). If you mix multiple types of fish and/or fish with inverts, carefully consider if they will live peaceably with each other. Shrimp specifically are very prone to being eaten by even small fish. If you have read this far hoping for advice on keeping a goldfish in your Spec, the only thing I can offer is . . . don’t. They are simply too big and produce way too much waste for a nano aquarium. I hope this information helps. Happy Planning! 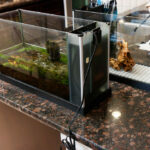 This entry was posted in Aquarium Tips, Spec Mods and tagged fish options, five gallon, how to stock, nano aquarium, Spec 3, spec 5, spec iii, spec v, what fish. Bookmark the permalink. Hey, I like your whole website and its really helpful for setting up my Spec V. I was wondering if you’ve considered pygmy cory or maybe marble hatchetfish? That was you’re reaching different water levels. I see what you are trying to do with fish on different levels; the problem is that both of these species are best kept in groups. For the Pygmy Corys, you would need 5 or more for them to be comfortable. That takes up a lot of bio-load right there and puts you at the upper end of what you want in a Spec V, just from the Pygmy Cories. Same thing for the Hatchetfish, best in groups of 5 to 6 or more. They are jumpers, so you would probably need to cover the lid opening with mesh of some sort. Trying to keep a group of both fish types will be too much for a Spec V. The cories by themselves may work, but I think the volume and shape of the Spec V is still on the small side just for them. Just my opinion – keep researching and make your best decision. Thanks for the question! Hello, i was wondering what kind of driftwood did you use for your tank? I would really like to know the name of it and any suggestions where i could purchase it. Thank you! The driftwood in my tank is Manzanita and was obtained from Tom Barr. He sold me a box of random sticks suitable for a nano aquarium – something like $40 shipped. Contact him to ask. Those two breeds of fish should work with shrimp. If you want to breed, I expect the neons will eat some of the babies. So having any shrimp fry survive will depend on having hiding places. Love all the info you provide for the Spec V tank. I currently have a Betta in a small half-gallon tank (I know) and am wanting to upgrade to the Spec V. I am a total beginner with aquariums. I would like to add more fish and/or inverts, as well as at least one live plant, but have no clue what would be best. Do you have any recommendations? I plan on scouring the rest of your site for more info, as well. I think you will like the Spec V and I know your Betta will. I’m no expert on Betta fish so you might do your own research on if any other fish will be compatible. Inverts: we have a horned nerite snail that has been great and very entertaining. Shrimp will probably get harassed but I’m not sure. Might be worth trying a ‘ghost’ shrimp. Plants: I’d hate to even give you suggestions as I don’t know what look you are going for. Search for ‘low-light aquarium’ plants and you should be able to find some options. I bought my plants from a site that has a great section on low light plants. Cryptocorne do well in my spec V and are a smaller plant. I was just wondering what is the substrate you are using in your tank? I believe I have answered that question for myself, I hadn’t seen the part about the substrates under the planted aquarium tab. Yes, I’m still using Up Aqua Aquasand. It has worked very well. Love your reviews. Don’t forget to mention Galaxy Rasbora. Also, i was wondering if you have any idea how to improve circulation on these aquarium? Theres no way to without adding a small seperate filter, if flow rate has dropped try removing any larger particles out of the filter media. Make sure you never wash filter media in anything other than the tank water if you need to! Have been reading through this site for sometime now and have learned a lot about my spec v that I’ve owned for about 6 months. I’m currently housing 8 emerald dwarf rasboras (actually they’ve determined these variety of fish are “danio’s” and not of the rasbora family after all) which have been with me for about as long as I’ve had the tank and so far have been doing great and are quite healthy. The seller sold them as a group of 7 but gave me 8 incase one died during transport to me from another state (Aquatic Arts who I highly recommend to buy fish and invertebrates from). I also have about 20 fire red sakura shrimp who I also purchased from them and are doing quite well. I’m using the current usa satellite + LED light which is perfect for this tank as it is planted using seachem flourite black sand and the flourish line of nutrients and have had great success. Thanks for all the good advice and will be checking back periodically. You bet! Sounds like you have a great setup with healthy fish. I have a rainbow snakehead in mine, im fully aware of the size growing up to 20cm and will move it out at the size of 5”. I think he’s a great pet and gets handfed smelt and bloodworm. Ideally i want a strange unique fish which has plenty of character and lives on its own. Is there any others along the lines of predatory fish i could add in when the snakhead outgrows the tank? Would a fluval spec V be fitting for 4 guppies and 6 red cherry shrimp??? 6 RCS are no problem. I don’t know much about guppies; 4 seems to be a reasonable number in a Spec V.
I currently have 10 green neon tetras in mine and they seem very happy with the heavily planted setting. The one thing is that they seem to prefer when the filter is off because they are much more active and come out into the water column more. I think there is too much turbulence for them and Im thinking about reducing the flow soon. Anyways, I love your site and used it a lot when I was setting up the tank. You should do a post where you put pictures of tanks that people who follow the site have made. I would certainly submit one! I’d guess from the context of this site and his comment, Scott has a Fluval Spec V aquarium; around 5 gallons. I really appreciate this blog… tons of useful information on Spec tanks! I picked up a Spec V a few weeks ago, set up and cycled the tank, and after much deliberation decided on a small shoal of Ember Tetras and a few Red Rili shrimp. So far everything is going great. I love the look of this tank and the discreet filter and pump housing (with the heater tucked into the pump compartment) giving it a very clean, uncluttered look. Anyway, thanks for all the info! I spent a lot of time on this page particularly, going over my stocking options again and again while I waited for the tank to cycle. You are very welcome! Hope the embers work out well for you. We are a bit low on Green Neon’s because some have died. I’m considering Embers for the next go around. There’s so much you can do with the Spec V. I’ve had mine up and running for three years now and it has housed a variety of small fish from Betta to Dwarf Puffers (yes, there were 4). It currently houses 6 Ember Tetra, 4 Sparkling Gourami (really cool fish! ), 2 Pygmy Cory Catfish, 1 Pygmy Loach, 1 Gold Ring Danio, 2 Red Racer Snails and a host of pest snails. None of them grow to be larger than an inch. It is also heavily planted–which helps to oxygenate the water and decrease bio-load. It gets 8 hours of light 5 days a week. I do very little maintenance on this tank…weekly water top off, 25% water change every 3 months (just to clean the sand), filter flush every 6 months. Very interesting! You certainly have a very streamlined tank if it works with maintenance that low. Good job! Hi, I was just wondering if it would be possible to keep a betta, a few ghost (or red cherry) shrimp, along with a lone nerite snail in a planted Fluval Spec V? I think that would be ok. Only reservation is a Betta fish with small shrimp (with shrimp potentially being an entrée). If you give the fish some hiding places it should work out fine.